Premier League injury news. 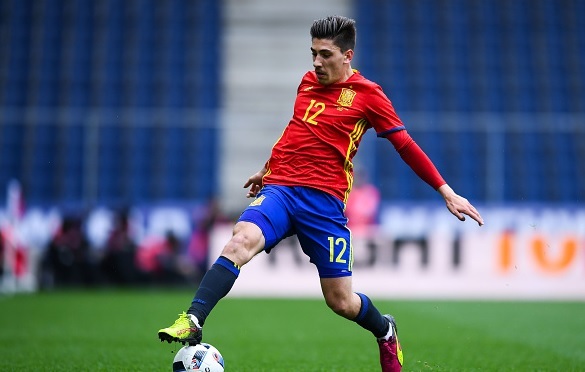 Arsenal have suffered a blow as Hector Bellerin picks an ankle injury while playing for Spain under 21, according to Metro. Arsenal have suffered a blow as Hector Bellerin picks an ankle injury while playing for Spain under 21, according to Metro. Bellerin has picked up an ankle injury while representing his country Spain’s under 21 side few days ago. The Spaniard who was part of Euro 2016 squad in the summer was called for the junior side once again. He started against San Marino on Wednesday and played 88 minutes before picking up the injury. The full-back who has been a vital part for the Gunners could be out for some weeks, however, the severity of the injury is not yet revealed. The tackle looked a nasty one that may take him out for several games. Arsenal boss Arsene Wenger is waiting for the updates from the medical team. The injury is not that much serious as it looks, according to reports, but still Arsenal already suffered several defensive problems through Per Mertesacker and Gabreil Paulista injuries. The 21-year-old has started all the seven Premier League games so far this season. Meanwhile, Arsenal are also planning to offer him a new long term deal once he returns from international duty. He has been targeted by Manchester City and his childhood club Barcelona.